The Sweet Bookshelf: Tune In Wednesday! Tune in on Wednesday for Wintercraft Wednesday! 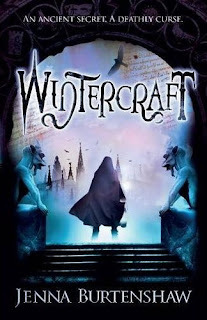 It is the day before the release day for Wintercraft by Jenna Burtenshaw and we want to celebrate!! and having a HUGE giveaway, with signed books and loads of loot!